I have started working on a unit about Tomie dePaola. I decided to start with his Jamie O'Rourke books, and then move onto Stella Luna. 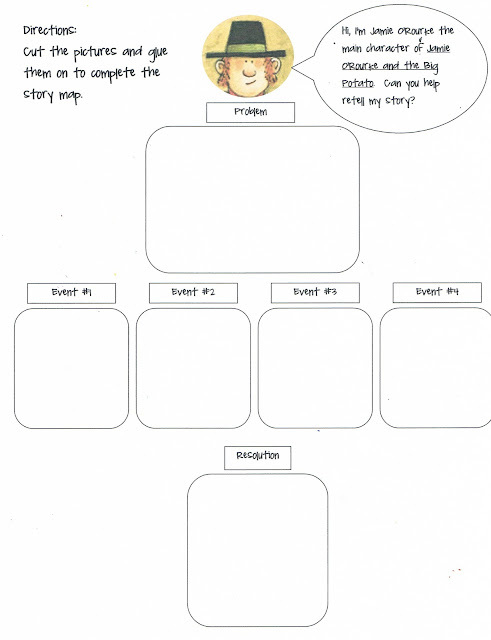 Folktales are a great tool to teach students about different story elements. Retelling is a powerful way to help students comprehend. After she had retold the story with pictures--we got out a potato and some little people, and we acted out the story. I also made a story map incorporated these pictures. 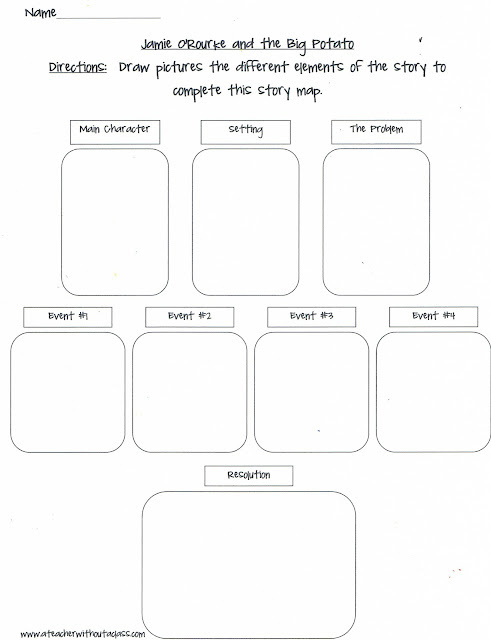 A great way to help first graders and even kindergartners begin to understand story elements and story structure. Or if you rather, students can draw the images for a story map. 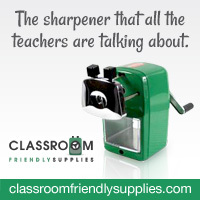 You can get them from my google drive! Hopefully I will be able to finish my Jamie package soon--with lots of fun activities. 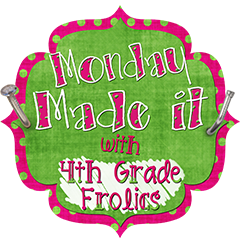 You can find other great ideas and freebies at Manic Monday and 4th Grade Frolics! The story map is great! 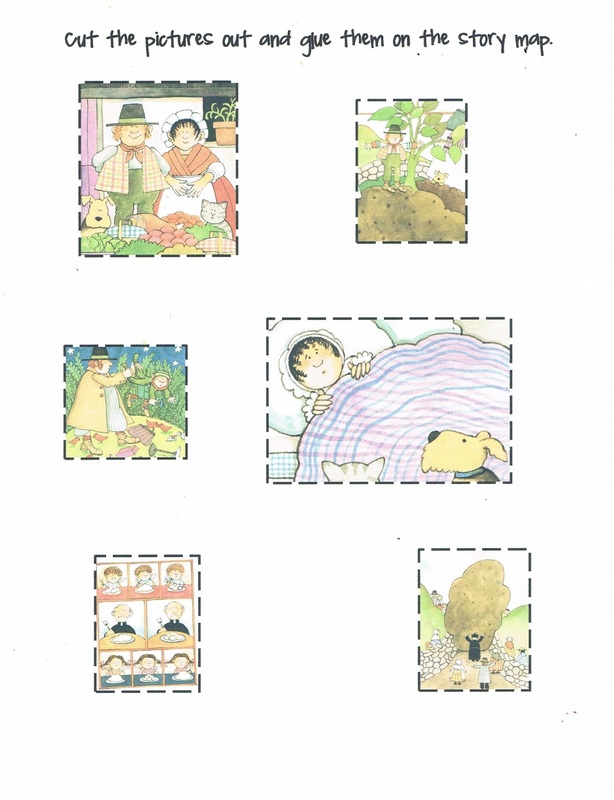 I really enjoy Tomie dePaola's books too!